Japan’s No. 1 Skincare (Exfoliator) Product! 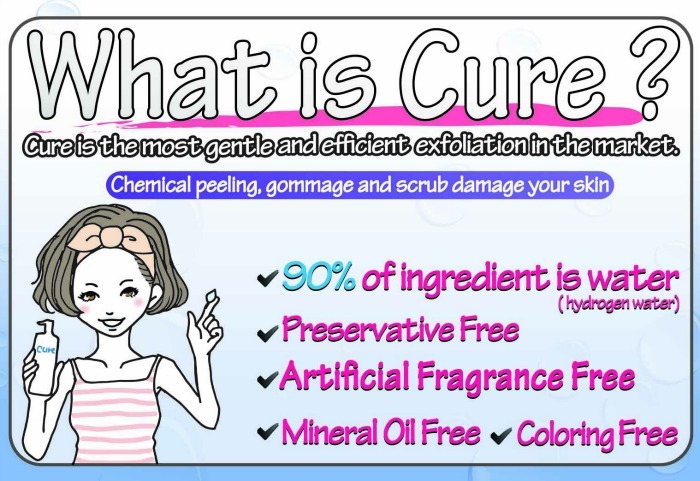 What is Cure? It’s an exfoliant! Like a facial in a bottle! Accumulated dead skin layer slows down skin turnover which then causes pimples, dry skin, oily skin,dull skin, skin pigmentation, dark spots and signs of wrinkles. That’s why we need to exfoliate regularly! Cure gently removes (0.01mm) dead skin which make-up remover and facial cleanser cannot. Traditional exfoliations such as chemical peeling, gommage and scrubs are strong and damaging to the skin. Exfoliation also makes a huge difference on the result of our skin care regimen. Lotions, serums or moisturizer will be absorbed by the skin more! More than 10 years in the market! Consistently TOP Ranked in @Cosme (Japan’s largest and most popular beauty online community with user-based product reviews and forums) and Beauty Magazines! One bottle will last up to 4 months if used twice a week on the face. Cure can be used for the entire body as well! 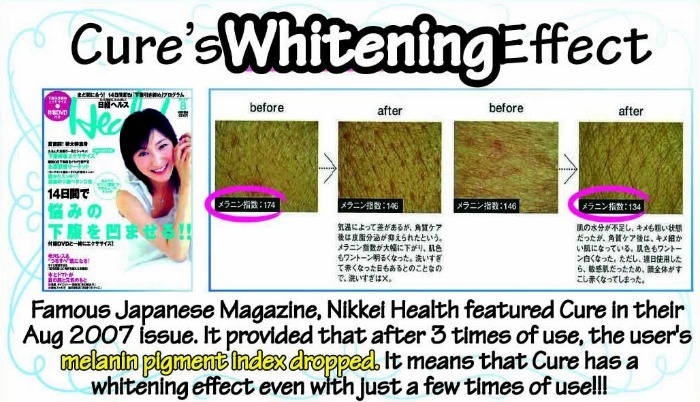 Cure can also help whiten and brighten our skin! 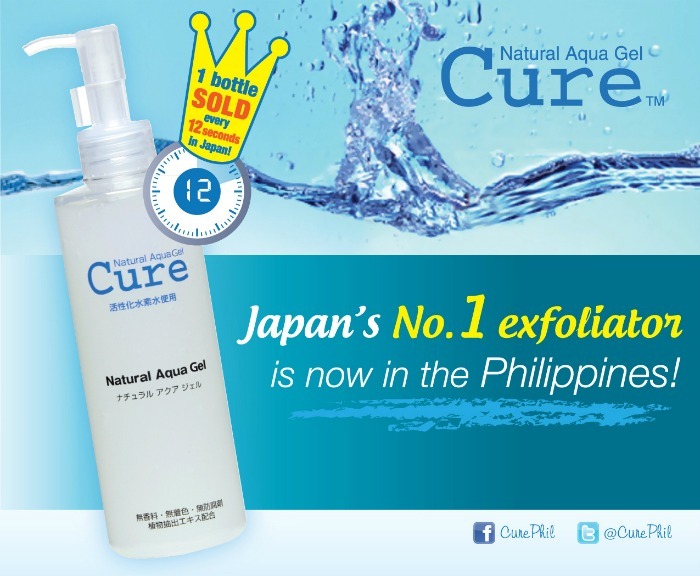 CURE Natural Aqua Gel is available in the Philippines exclusively through the Beauty Bar stores. LIKE Beauty Bar on Facebook and Twitter for exclusive updates. Impressive before and after... Will try to grab this.